It is simple: be a guest on someone else’s blog or have a guest on your blog. Especially when your book is coming out. You can always find an author or someone extraordinary to swap interviews with. You want to choose those with many followers, but a little is exposure too. Follow others' blogs before you ask them for an interview. It is good form. Follow people relevant to what you want to promote,: i.e., if you promote books, befriend some authors and a lot of readers. Where to follow them? Facebook, twitter, Linkedin, Goodreads, Shelfari, but mostly on their blogs. Why follow them? Do unto others what you would like done to you. Help them and they will help you. Now that you are friends, read their interviews, comment, and copy some of their questions and then make them relevant to the topic that fits your guest. In anther words, be inspired and write your own. Keep a list of questions and answer them according to your expertise or what you want to promote. Then when someone tells you they have never done an interview, you can tell them that you have one handy and can send it to them. This also works for you. Answer the question yourself and you have an interview ready when someone wants to do yours and doesn’t know how. Many bloggers struggle to find things to put on their blogs and they would love to have material ready to post. It helps you and them. Also go back often to answer any questions the visitors have for you. Do not forget to add live links to all the places your book is sold. Make sure you tweet the interview and put it on Facebook with a live link, all that week and every so often after that week. Be polite, but funny. We all love a good laugh. Shared with us from Anna's blog. Anna was born in the extreme South. She loves reading, but had few opportunities to do so while growing up. As a young woman, she moved North to marry Rodney Dye and has resided in Utah since then. They are the parents of three princes and a princess. With her husband and his family she has had the opportunity of traveling to many of the United States, (most of them camping!) and to four other countries. She would like to visit castles in European countries. She is fluent in both English and Spanish and understands Portuguese. After she married, Anna was introduced to the Hardy Boys and Nancy Drew books that she admits to having collected. A number of years ago she was introduced to Tolkien's Lord of the Rings and to J. K.Rowling's writings, which she loves. She also loves romantic music (she listens to it every day), theatrical plays that she attends at least six times a year, and cats (when they are not shedding). Anna wears her dresses down to her ankles and likes them to be very feminine, with lace being one of her favorite trimmings. "I am afraid that I do not follow fashions," she has said. "I wear what I like." You can find Anna on her website, her profile on FaceBook, and on Twitter at @AnnaDelC. Before you begin your novel, you’ll want to focus on the core of your novel. One of the best ways to find the very center of your novel is to use only one sentence to describe it. This will not only serve to keep you focused on the story as you write it, it will also help you to pitch your novel to potential agents or publishers. Think of this one sentence as your twenty-second selling tool. Try to boil the story down to one sentence. Though it may seem difficult, if not impossible, it is an excellent exercise for you to pinpoint the main plot of your novel. For example, the one sentence for Gone With The Wind might be, “A spoiled southern belle must learn to readjust to life after the Civil War.” Of course, this doesn’t begin to touch on all of the subplots, but it gives you an overview of the story. Learning to condense your story in one sentence is an art form. Research one sentence book blurbs in newspaper book reviews or on the internet to see how effective one sentence can be. Write your own one-sentence descriptions for books you’ve read. Once you have the hang of it, try it on your own novel. Take your story-in-a-sentence and post it next to your computer or near your desk so you can see it while you write. You’ll find that it keeps you centered on your story. If your focus is on traditional publishing, you’ll also find that you can use your sentence in your query letter when the time comes to send out your novel to potential publishers or agents. You can whet the appetite of industry professionals with a well-written sentence. Go ahead and try it. It may take you an hour or it may take you all day, but see if you can describe your novel in one sentence. Rebecca grew up next to the ocean in Santa Barbara, California. She spent her youth at the beach collecting sea shells and building sandcastles. She graduated from high school and left for college, where she met and married her sweetheart, Del. Del and Rebecca are the sometimes frazzled, but always grateful, parents of ten wildly-creative and multi-talented children and the grandparents of the most adorable little girls in the universe. After spending nineteen years in rural Colorado with horses, cows, sheep, goats, rabbits, and donkeys, Rebecca and her family moved to a suburb of Houston, Texas, where she spends most of her time in the pool trying to avoid the heat and humidity. When she isn't in the pool, she loves to date her husband, play with her kids, swim in the ocean, redecorate her house, and dance to disco music while she cleans the house. 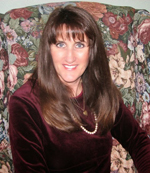 Rebecca has always loved to write and has authored novels, stories for print and online magazines, and children's books. She now focuses on writing romance because she believes everyone deserves their happily-ever-after. You can find Rebecca on her website, her author page on FaceBook, and on Twitter at @rebeccatalley. Inspiration is an integral part of the writing process, without it you are stuck. I don’t have a lot of problems with inspiration; it seems to overrun my mind. However, once I started a book with giant eagles and was so busy with promoting my published books that a year went by. When I tried to continue writing it, I wasn’t sure what to write. So, I watched a movie about eagles and went to an eagle presentation in the aviary and asked some questions and I was on my way again. Watching movies on the subject you are writing will help with ideas. Have a notepad when you watch anything. You never know when a face, a place or a scene will spark an idea. Watching a documentary on something that pertains to your book will also help. Read books and magazines in your subject. You can use them for free from the library. Google the theme you are going to write about and see what ideas you get. 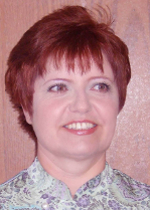 Visit author’s blogs and read about writing. Be a people watcher (without staring.) It is amazing what people do or say, that may inspire you. Music can be an inspiration by itself. I wrote a romance novel while I listened to my favorite romantic music. My fingers couldn’t go fast enough for my brain. Fine arts or a museum could help to start the creative juices. The color and the scenes portrayed in paintings are inspiring. Watch children at play. They do and say the cutest things and have great imaginations.